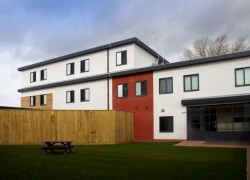 Service users have access to external secure courtyards, and therapy and leisure facilities, including a fully equipped gym, art room, IT classroom and therapy kitchen, which contribute to a comprehensive package of care. Cygnet Hospital Derby is built to low secure specifications. 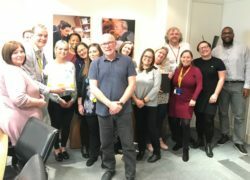 Following an assessment visit by a peer review team Cygnet Hospital Derby was given an excellent 94% score in its 2018 review by the Quality Network for Forensic Mental Health Services. Cygnet Hospital Derby has scored 94% in a review by the Quality Network for Forensic Mental Health Services. The hospital achieved 100% ratings in 10 of the 14 areas assessed including, 'Treatment and Recovery', 'Safeguarding', 'Physical Healthcare' and 'Environment and Facilities'.